What is unfortunately process com.google.process.gapps has stopped error? Reasons or causes of unfortunately process com.google.process.gapps has stopped error. How to Fix “Unfortunately the process com.google.process.gapps has stopped” Error. “unfortunately the process com.google.process.gapps has stopped” is one of the most prone error that pops up when you are trying to use any one of the following Google apps – Browser, Google Play, Gmail, Google Framework, Download Manager, etc. Regardless, of the type of phone, this error has been seen from Nexus Devices to Samsung Galaxy series smartphones. But, I have seen this error is most prone to old Samsung devices. Mostly, this error appears when you android phone or tablet fails to connect with the Google servers and your account is not being able to sync back, even though your internet is working fine. There can be many reasons or causes for this. I have listed some of them below. It may arise if you are using an outdated version of the app. It also pops up when you have disabled the app from permission manager. 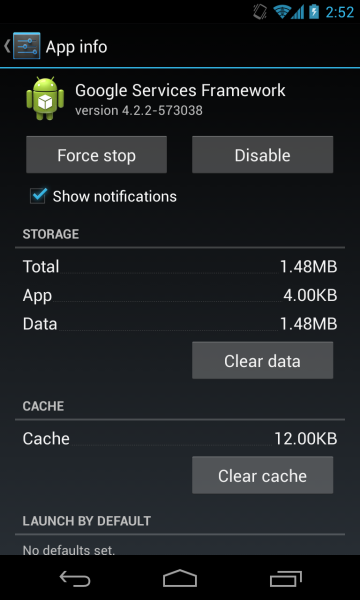 It can be caused due to cache or data conflicts in the app. Culprit or bad Google Play Store updates can also cause this error. Mismatch Gmail account password may also arise to this error. Culprit Settings in rooted phone can also pop up this error. Now, let’s move forward to our main topic i.e. How to Fix unfortunately the process com.google.process.gapps has stopped error. It is possible that you would not find the exact options of buttons mentioned below in the solutions. SO, follow the most appropriate option related to it. It is also possible that many of the options would not exist in your android phone. So, just skip them. Since, this error is common in all kinds of android phones, therefore, I have given solutions keeping every phone in mind. Open Settings in your phone. Now, go to “All Apps” tab. Now, find and click on the app which is showing you this error. Now, click on Clear Cache and Clear Data option. Now, try to run or update the app. Most of the time this solution fixes “unfortunately the process com.google.process.gapps has stopped” error. Now, find “Google Play Services” app. Click on Clear Cache and Clear Data option. Now, go to “Google Services framework” app. Now, try to run or update the app. 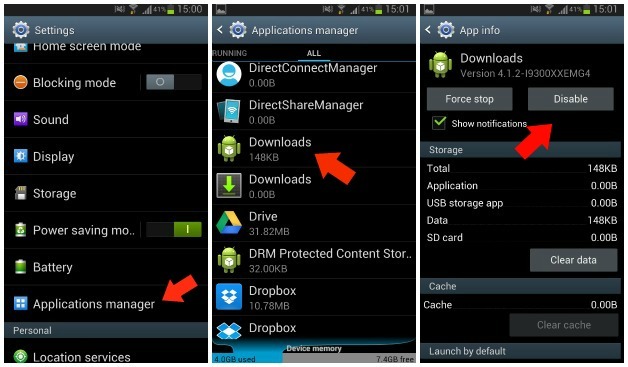 Find and click on Download Manager (Downloads). Click on “Clear Data” option. Now, try to run, update or download the app. it would solve “unfortunately the process com.google.process.gapps has stopped” error. Now, find and click on “Google Play Store” app. Now, open the app details and click on the “uninstall updates” option. Then, click on “OK” button. That’s it. You’re done. Do check your Gmail account password. If you have changed it from your PC and did not updated it in you android phone. Do update it and then try to use the Google Apps. Also Read: How to run psp games on android with ppsspp | psp emulator. Many a times, it happens that the app does not permissions ON to use internet data. So, it may also cause this error. Hence, follow the below methods to enable it. Now, click on “Security” option. Then, click on “Permission” option. Then, go to “Manage App permissions”. Find the app and change the permissions for it. That’s it. You’re done. now, try to use the app. If any of the above methods did not solve “Unfortunately the process com.google.process.gapps has stopped” Error in your case, then follow the next solution. As I have mentioned above, using outdated Google Apps may also cause this error. So, if you have recently updated your android version to a newer version (Lollipop v5.0) , then remember to update the necessary Google apps too, otherwise it may cause conflicts and result in this error. Download the latest Google apps for Android Lollipop v5.0 from the below link. 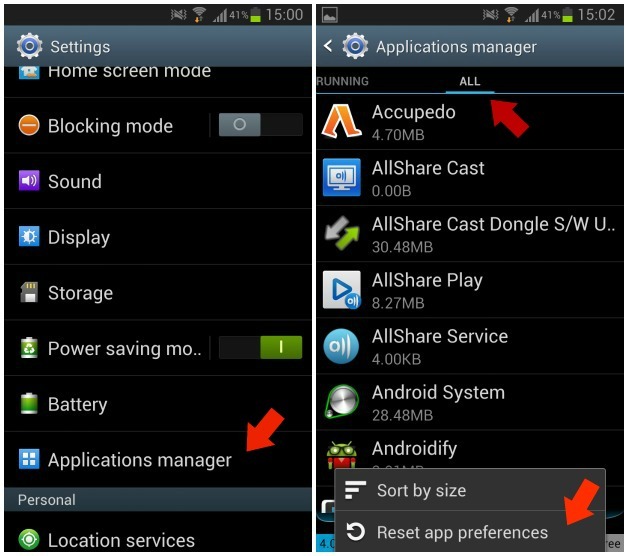 Open “Settings” in your android phone. Click on “All tabs” option. Then, go to “advanced” option. Then, click on “dalvik cache” option. That’s it. You’re done. Now, try to open the app. This is the last option to attempt and only use it if any of the above methods did not work. Though, there is no 100% surety that it would solve your problem. But, factory reset can fix 99.99% errors and problems. But, before using this method, do backup all your android data as factory reset will wipe all the data and it will make your android as new as you have purchased (software-wise 😛 ). Also Read: How to Fix/Recover a Soft Brick Android Phone: Tutorial Guide. Most of the time, the four solutions from the starting would fix your problem. Solution 3 worked for me and is an effective fix. “Unfortunately the process com.google.process.gapps has stopped” error is the most common error in android phones. But, their solution and fixes are simple and easy. So, do not hesitate to use them. Also, prefer not using the last solution which in the most teary fix. Also Read: Download and Install paid android apps free from Google play store.